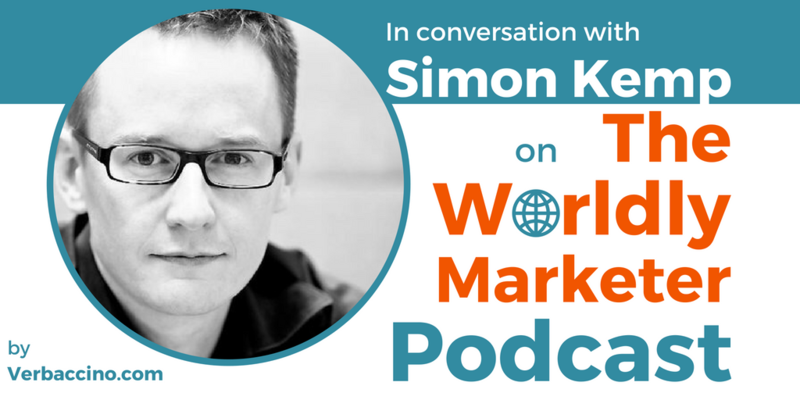 Simon Kemp has been featured on three previous episodes of this podcast: TWM 022, TWM 048, and TWM 104. You might say he’s become a perennial guest, and with good reason. Simon is probably best known for his annual Global Digital Reports and quarterly Global Statshots, which he produces in collaboration with Hootsuite, a social-media management platform, and We Are Social, a global digital marketing agency. As the Founder and CEO of his own digital marketing and branding consultancy, Kepios, Simon helps organizations all over the world make sense of the future. He is passionate about showing business owners and senior executives how digital technologies can help them achieve their goals and ambitions. Simon has already worked with many of the world’s most admired brands, including Unilever, Google, Coca-Cola, Nestlé, Johnson & Johnson, and Diageo, and he’s a regular speaker at top conferences and events all across the globe. Most recently, Simon founded an online reference library called DataReportal, which offers hundreds of reports packed with data, insights, and trends to help businesses make more informed marketing decisions. Through DataReportal, marketers can easily explore the most up-to-date digital behaviours in every country around the world, with all the numbers they need to understand how people use the Internet, mobile devices, apps, social media, and e-commerce. It’s a fantastic new resource and, on top of that, it’s free!